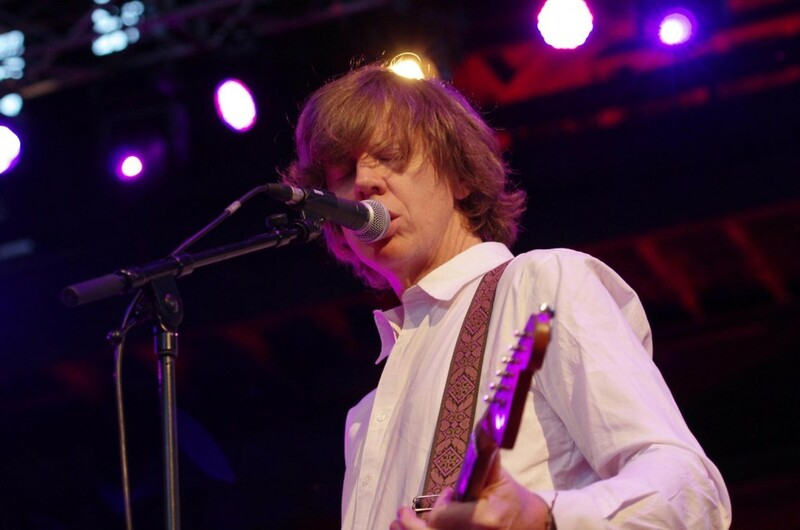 Thurston Moore is one of America’s most influential and notable musicians, best known for playing guitar, writing songs, and singing in New York City’s Sonic Youth. Since that band formed in 1981, Moore has taken on countless other musical projects, collaborated with many, many artists in different contexts, and started his own label, Ecstatic Peace! Well before Sonic Youth went on hiatus in 2011, Moore began working with a new group of players and eventually formed a band with them called Chelsea Light Moving, who released their self-titled debut LP earlier this year on Matador Records. Chelsea Light Moving’s current tour brings them to Hamilton’s Supercrawl on Sept. 14, Toronto’s Horseshoe Tavern on Sept. 15, and Montreal’s Cabaret Mile End on Sept. 16. Moore was in the midst of a 10-hour drive when we talked about the Station to Station public art project, Levi’s jeans, his early band the Coachmen, playing with Yoko Ono and eating dinner with Philip Glass, teaching himself how to operate a guitar, the attraction of subversion, confusion and nostalgia in youth culture, the shock of short hair in the 70s, Iggy Pop, Girls and the new bohemianism, living in London and its culinary renaissance, the formation of Sonic Youth compared to starting Chelsea Light Moving, poetry and writing, his thoughts on Lee Ranaldo and the Dust and Body/Head, his future work and collaborations, David Berman’s poetry, the Nihilist Spasm Band, Perfect Youth: The Birth of Canadian Punk, the song “Alighted,” and more.